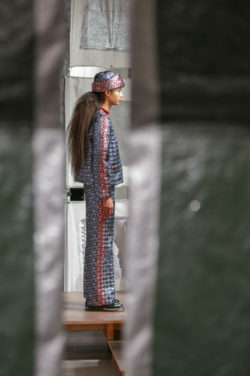 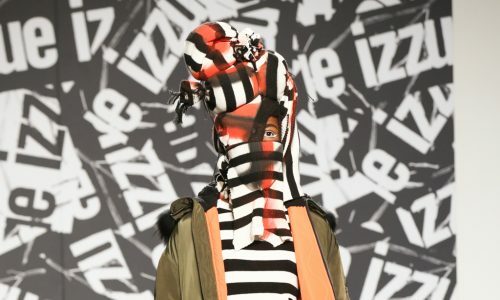 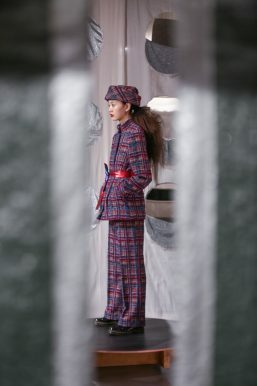 In a kaleidoscopic fusion of graphic panel arrangements, A-line silhouettes and a touch of 70s glitz, Sadie Williams’s autumn/winter 2018 collection was ever textile-driven, with no compromise on fun. 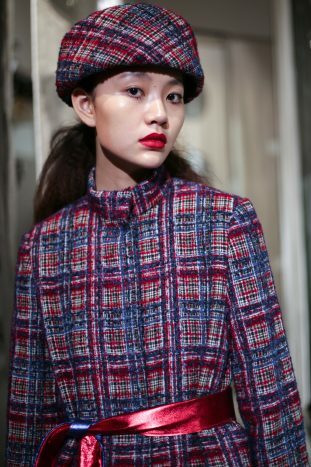 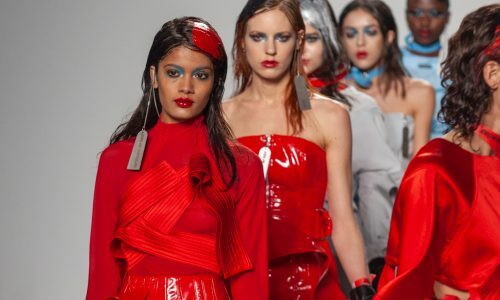 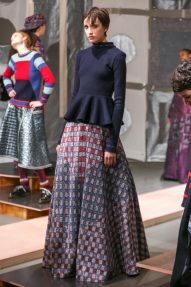 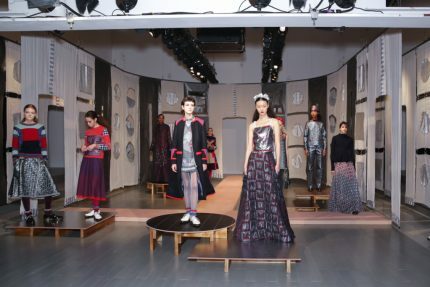 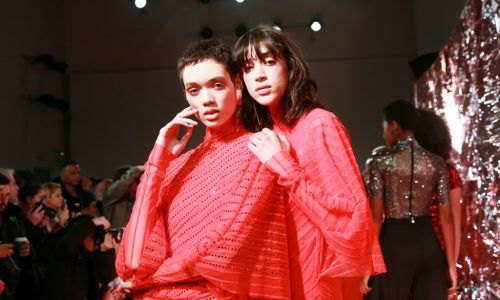 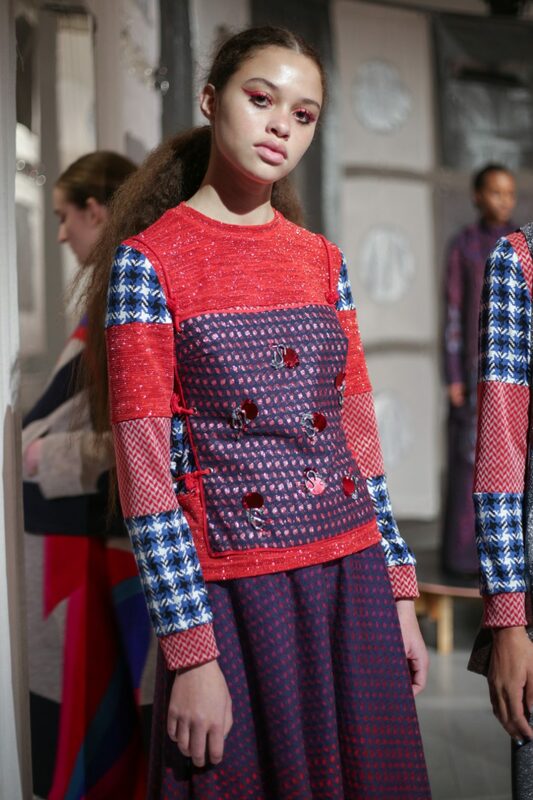 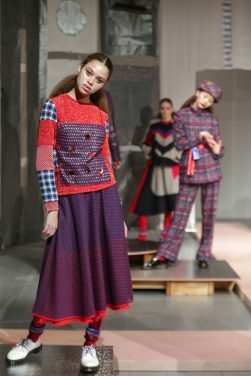 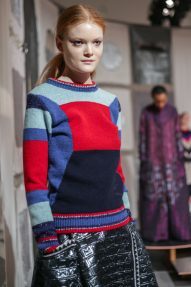 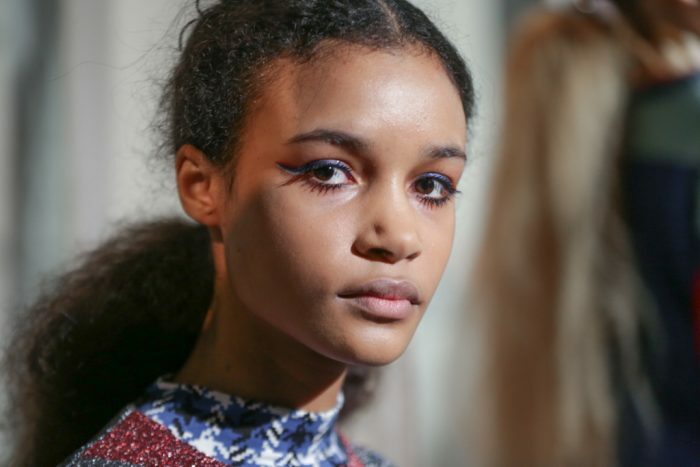 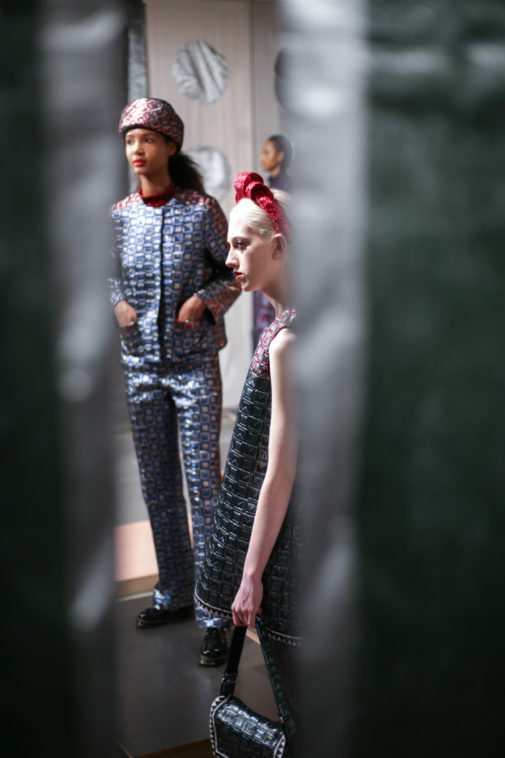 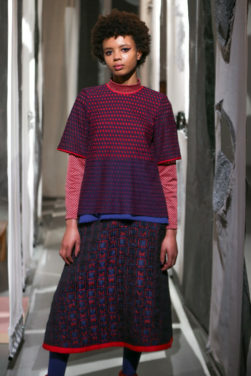 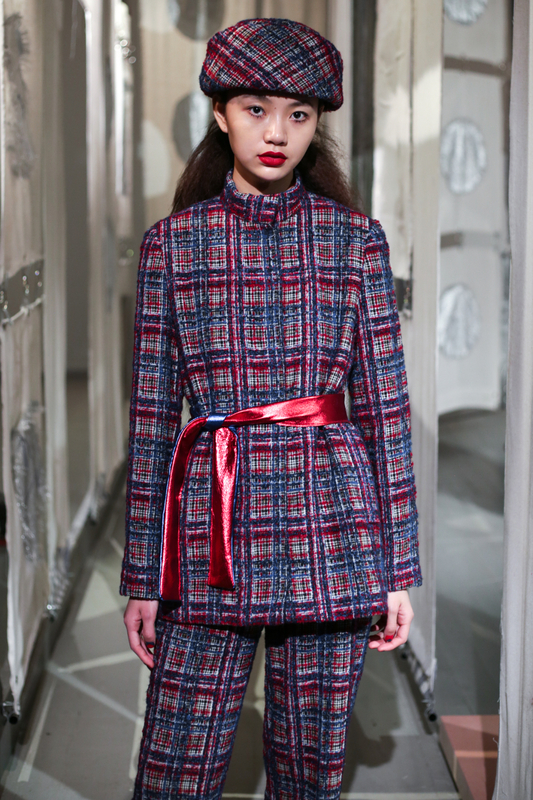 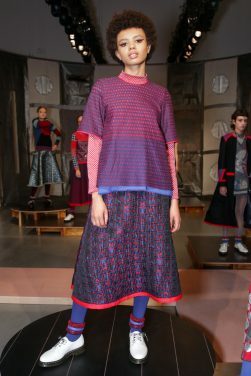 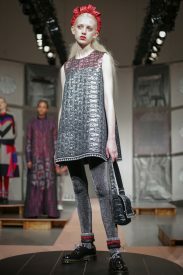 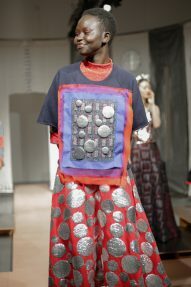 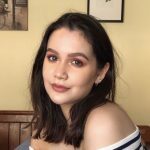 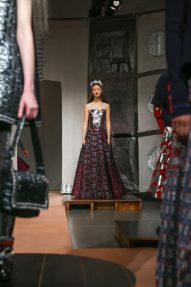 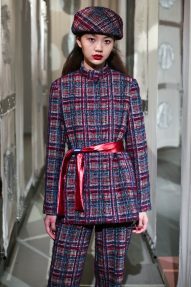 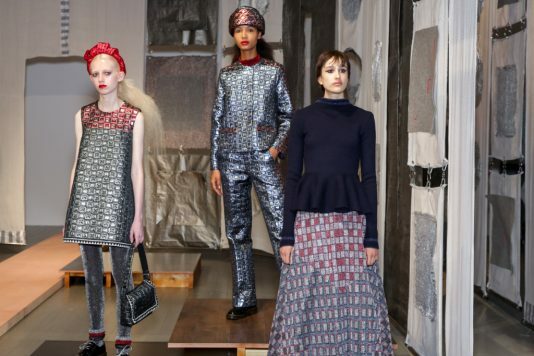 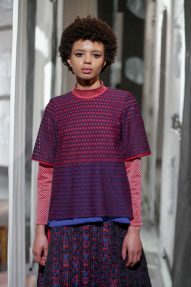 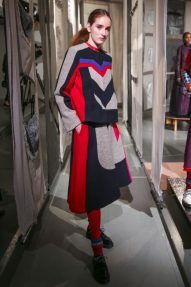 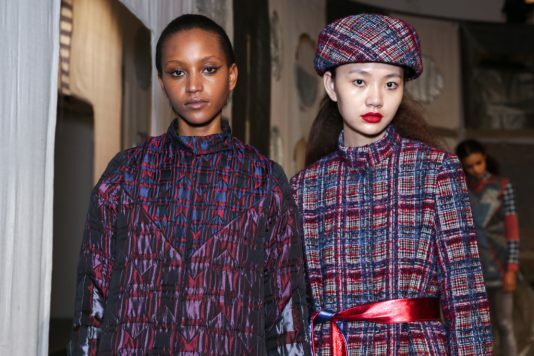 A selective colour scheme of multi-tonal reds, blues and silvers ran through each and every look, unifying a range of metallic textures and patterns that wreaked havoc on the A-line shapes of longline quilted skirts, knitted crew-neck jumpers and 60s mini shift dresses. 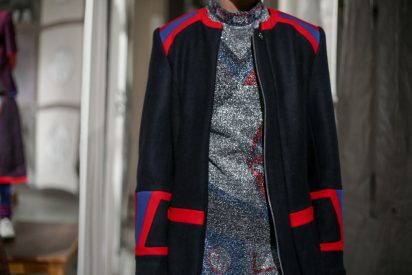 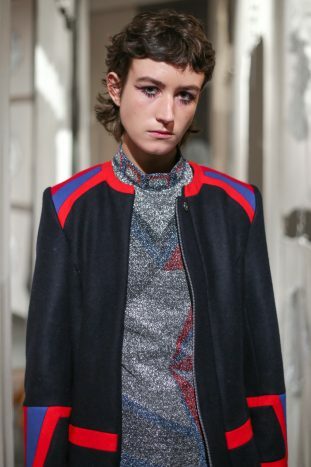 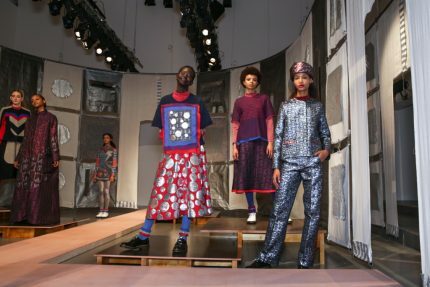 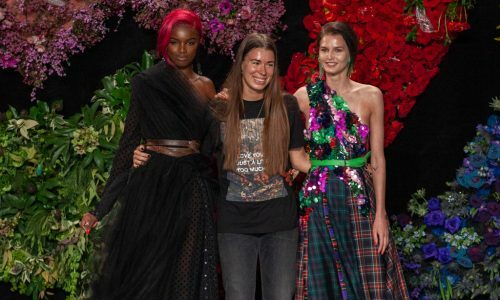 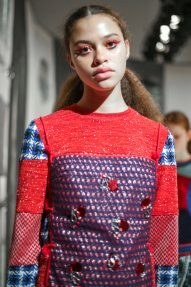 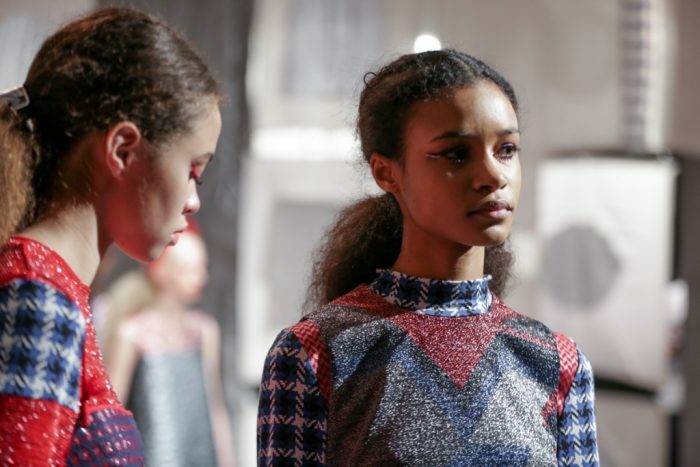 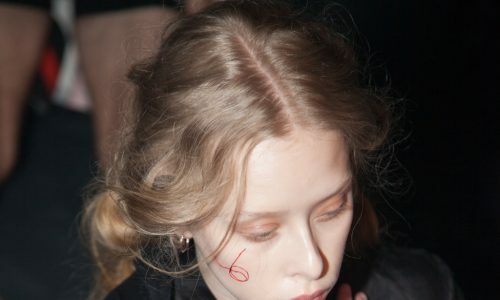 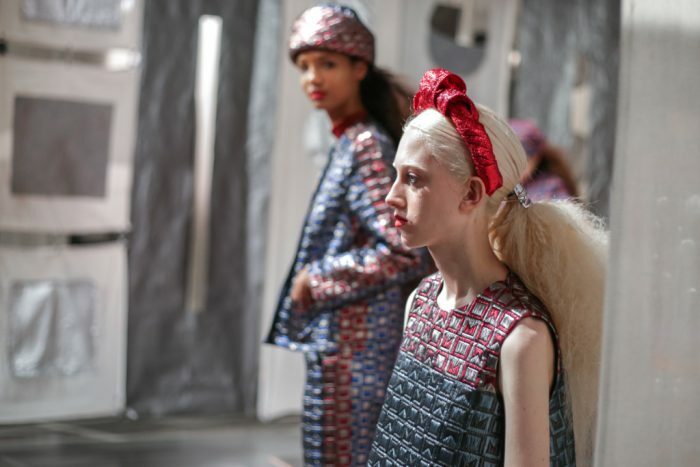 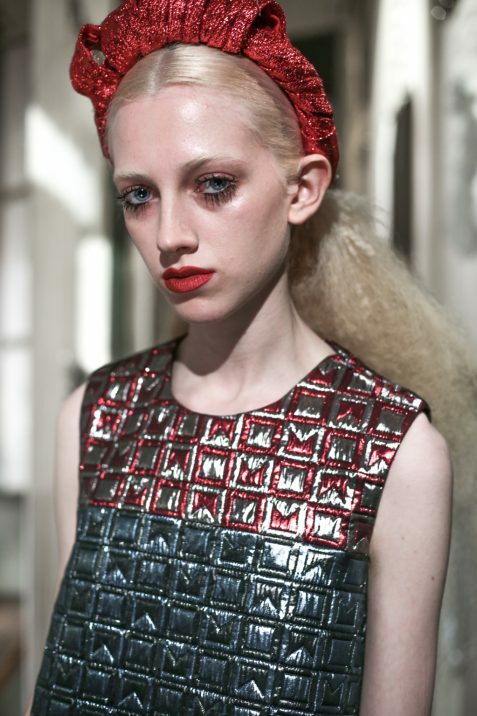 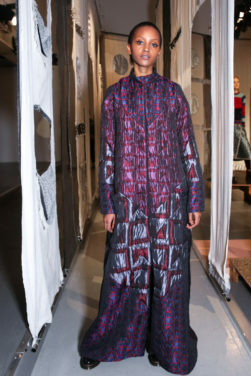 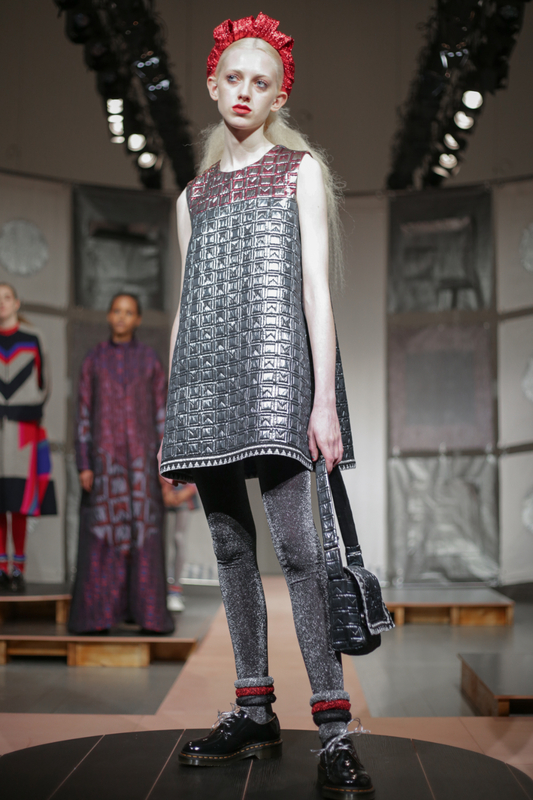 Williams’s textile journey was developed further with the help of fellow Central Saint Martins alumni Helen Lawrence, to create a range of knitwear with details of appliqué patches, multiple layering and frayed edges. 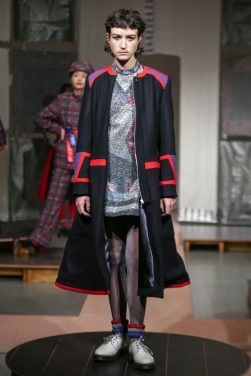 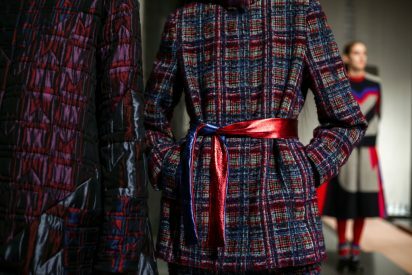 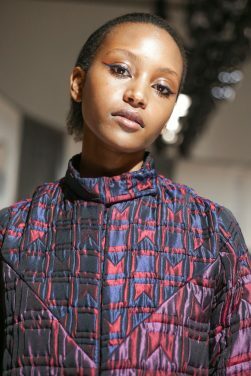 Amongst the collaborative effort were metallic two-piece suits, a sequined square-neck camisole, a collarless A-line coat and a magnificent aubergine-hued cloak that shifted slightly in iridescence with every movement. 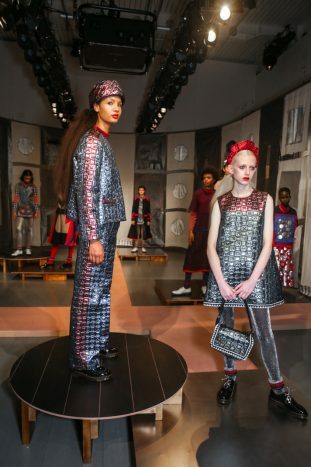 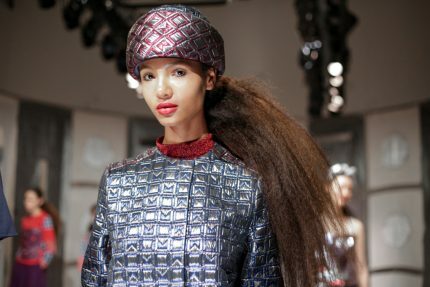 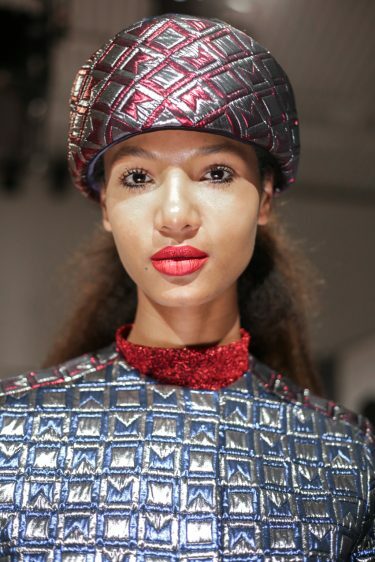 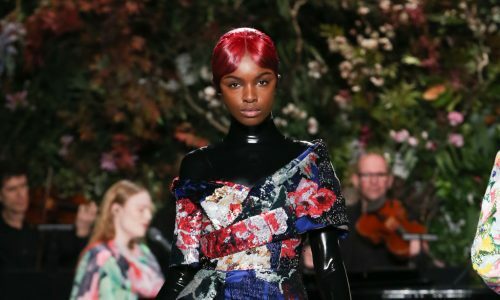 Meanwhile, metallic leather hairbands, Jackie O hats and saccharine lurex crowns added a touch of eccentricity and fun to the main collection. 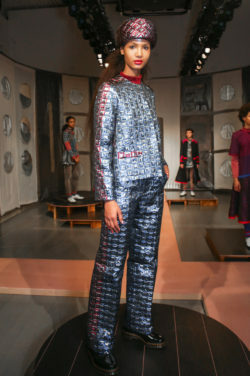 Although the girls appeared initially tomboyish, a certain femininity radiated from them; the lurex that meandered its way through the fabrics of individual pieces lent a constant glimmer to the wearer, creating a facet of youthfulness to the collection.